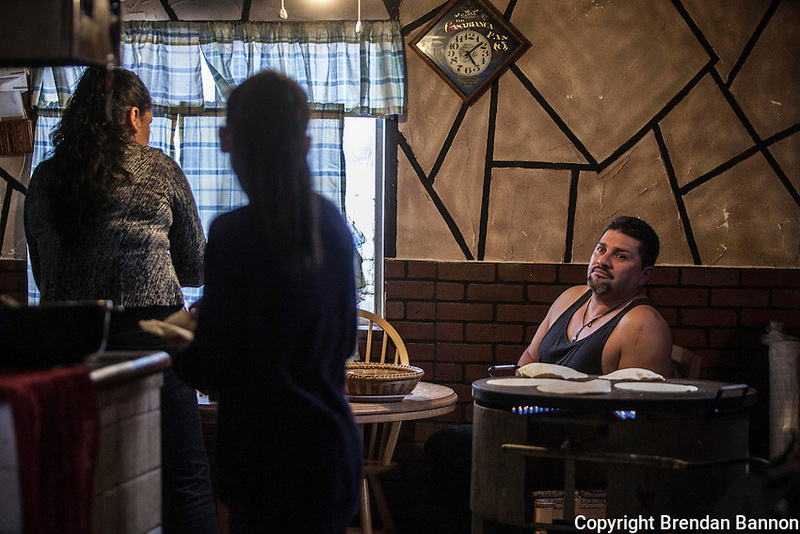 Mirka Moctezuma an American citizen at home after school with her parents Esperanza Pacheco and Esubio Moctezuma, both Mexican citizens. The family wwas split apart for two years after Esubio was deproted to Mexico. The deportation was reversed and Esubio holds a valid green card. Esperanza still is under supervised release by the Immigration authorities and has to report for regular scheduled check-ins in Cleveland, Ohio. Photo by Brendan Bannon Painesville, Ohio. March 25, 2014.